If it's possible for any play to get audiences to sympathize with murderers "Sweeney Todd – The Demon Barber of Fleet Street" is that play. The show, with music by Stephen Sondheim, is about a barber - Sweeney Todd - who murders people. His cohort, Mrs. Lovett, then uses the remains as a special ingredient in the pies she makes. The story of Sweeney Todd dates to Victorian England. It was adapted into a 1930s film, a ballet, an eight Tony award winning stage musical and, most recently, a 2007 Tim Burton movie starring Johnny Depp. In modern adaptations, Sweeney Todd is a Londoner sentenced to an Australian prison on trumped-up charges. After 15 years he escapes and makes his way back to England, simmering with anger and vowing revenge on the judge who sentenced him. s. Lovett, a working-class widow. There, he begins to exact his bloody revenge. The barber is especially incensed over the fate of his teenage daughter, who was taken in by the corrupt judge who sentenced Sweeney. She has never known her father. The show is part of Suzart’s adult feature series called “After Dark”, suitable for those over 19 years. Featured in the title role is Joseph Stone and Barbara Seabright-Moore stars as Mrs. Lovett. Suzart’s recently named Artistic Director, Kraig-Paul Proulx, has dived in as director. Proulx describes Sweeney as a wronged man battling demons that threaten to consume him. " 'Tortured soul' is a good way to put it," Proulx said. "He's hell-bent on revenge. But there's this fire that's still burning brightly inside him." Proulx has added his artistic vision to the play. The opening scene happens in current time as the actors recount the story of “Sweeney Todd”. As the story continues, they each transform into a character and become the story. 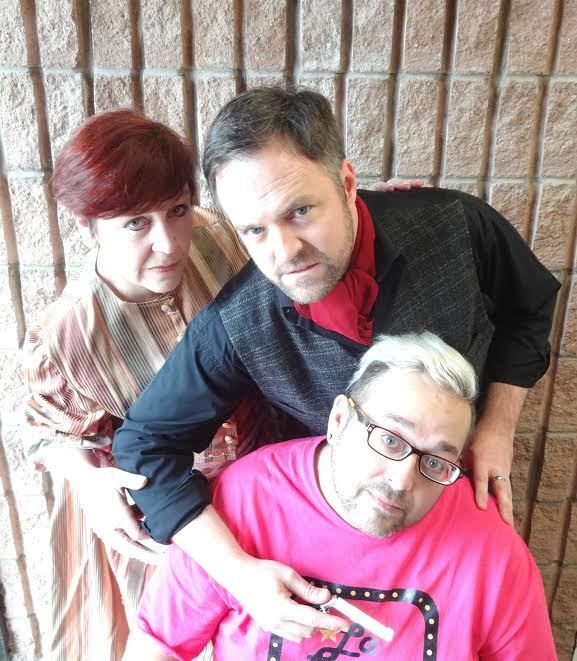 Suzart’s After Dark Production of "Sweeney Todd – The Demon Barber of Fleet Street" runsFebruary 23 -25, 2017 at the Centrepointe Studio Theatre. Thank you to Ottawa Family Living for featuring Disney's The Little Mermaid. Check out the article here. 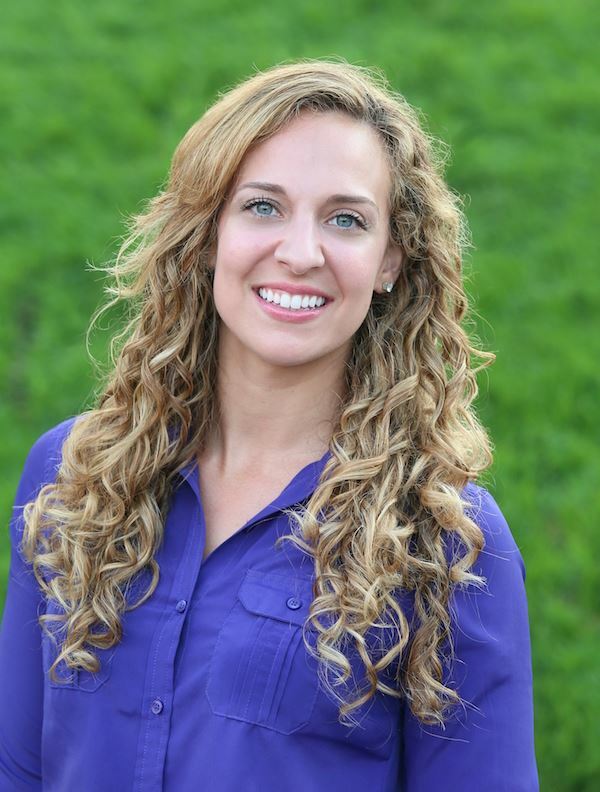 "Ottawa actor, singer and dancer Sharena Campo has been cast in the lead role as Ariel. Based on one of Hans Christian Andersen’s most beloved stories and the classic animated film, Disney’s The Little Mermaid is a hauntingly beautiful story. With music by eight-time Academy Award winner Alan Menken, lyrics by Howard Ashman and Glenn Slater and a compelling book by Doug Wright, this fishy fable will capture your heart. Its irresistible songs include Under the Sea, Kiss the Girl and Part of Your World." It is with immense pleasure that we announce on behalf of the Board of Directors that we have selected our second ever Artistic Director. 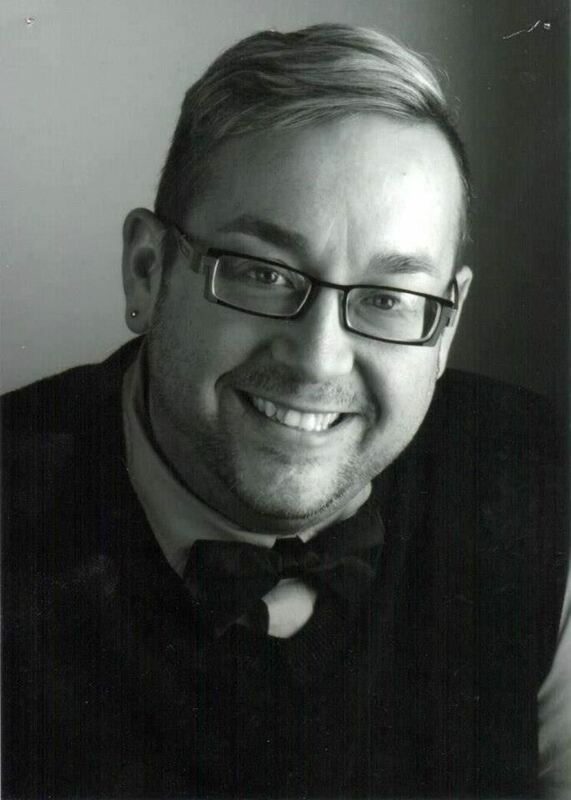 While our new Artistic Director needs no introduction, please join me in welcoming Kraig-Paul Proulx to the position. Over the past month, the Board has worked passionately to develop and implement a selection process that included actively seeking applicants from across the Ottawa theatre community. We were pleased that last night– by unanimous vote– the Board passed a motion to appoint Kraig-Paul as the new Artistic Director. Kraig-Paul has been with the company since its inception and has a great deal of passion for our art, as well as a wealth of experience on-stage, as part of many production teams and helping develop young performers. Kraig-Paul can be reached at artisticdirector@suzart.ca. To Kraig-Paul: we are truly excited to learn more about your vision for the company in the coming weeks and welcome to your new role! For the first time in Ottawa, Disney's The Little Mermaid will be presented as a fully staged production. Suzart Productions is pleased to announce that it will be offering 10 showings of The Little Mermaid this December, 2016. Set under and above the high seas, The Little Mermaid tells the story of Ariel, an adventurous young mermaid who’s got a thing for disobeying the rules and following her heart. Ariel’s fascination with the human world often leads her to the sea surface, a zone that’s designated as “off-limits” by her father Triton, the sea king. One day while sneaking to the surface, Ariel witnesses a shipwreck and rescues Prince Eric, with whom she become instantly smitten. Furious at Triton’s inability to understand her love for the prince, Ariel runs away and strikes a deal with Ursula, Triton’s evil witch of a sister, to experience the life she dreams of on land. But the bargain is not what it seems, and Ariel needs the help of her colourful friends, Flounder the fish, Scuttle the seagull and Sebastian the crab to restore order under the sea. “We are so excited to be able to present this classic love story for all ages over two weekends - which is a first for Suzart Productions as well,” exclaims Kristopher Tharris, President of Suzart Productions. 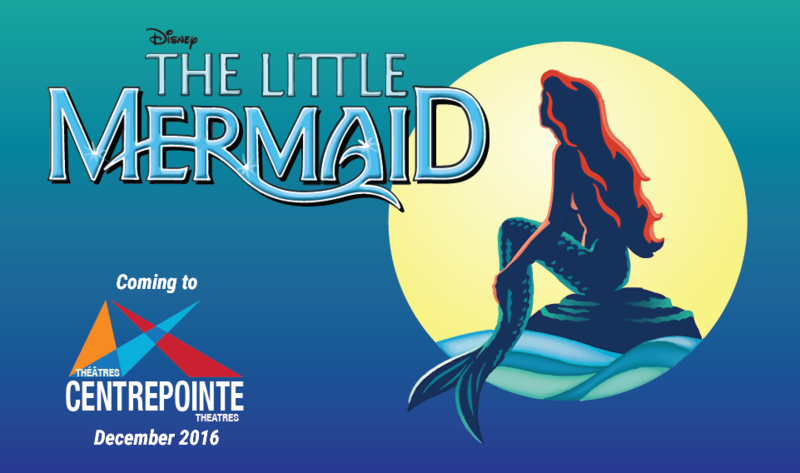 Suzart Productions will present Disney's The Little Mermaid at the Centrepointe Studio Theatre, December 1-3 and 8-10, 2016 at 7:30 PM; December 3 & 4 and 10 & 11 2016 at 1:30 PM. Suzart Productions is seeking a volunteer Treasurer for our Board of Directors and Executive Committee to carry our organization forward. We are a company that is founded by family for family and we’re looking for passion, experience, and most of all financial leadership. A little about the future you. Leading the Executive Committee in the development and management of annual budgets. Monitoring operating costs, including forecasting financial position to the Board (every other month). Outlining and implementing cost-reduction exercises. Advise the Board on all applicable legislation (including changes) or tax implications in maintaining charitable status, including all risks. Overseeing the Administrator in the payment of all amounts owed, acting as custodian of the funds received and disbursed. Filing financial reports, tax reports, and audits as required, including presenting Verified Financial Statements at the Annual General Meeting. Suzart is a non-profit, charitable musical theatre company specializing in affordable entertainment for the whole family. This means that we strive for affordability for our audience by providing high value for the price of admission, but also high value for our members. We produce three to seven shows each year, focusing on engaging the whole family. We provide opportunities for both youth and adults to shine on and off-stage. This year’s season includes The Last Five Years, Disney’s Alice in Wonderland Jr., Disney’s The Little Mermaid, Sister Act, and Sweeney Todd. Our organization is transforming and looking for leadership that will carry us into the future! Please send us letter of intent that highlights your experience to president@suzart.ca. Please be sure to address your demonstrated experience and how it relates to the tasks of the position. You indicate to us by October 26th your interest in the position by sending your resume and cover letter (described above) to president@suzart.ca. Selected short list of candidates will be invited to a discussion with the Selection Committee. Win a family pack of four tickets to see Disney's the Little Mermaid! Would you like to win a family pack of 4 tickets (2 adult, 2 children) to see Suzart Productions upcoming show, Disney’s The Little Mermaid? We are looking for the favourite photo of your child age 0-12 yrs., dressed as a Little Mermaid character or video of them singing a song from the show, shared with us! During the contest period, Facebook and Instagram users can vote for their favourite photo or video by "liking" their choice. The contest is open from Oct. 1-Oct. 28 at 11:59PM EDT. The winner will be selected from the top 10 entries by judging panel and announced on October 30 at 3:00PM EDT during a live Facebook feed. We cannot wait to see all your entries! By posting your photo or video you agree to our Rules and Regulations, details of which can be found on our website. Members of the cast and crew, and their immediate families, of Suzart Productions The Little Mermaid are not eligible for this contest. Once again, a team of Suzart's youth represented the company at The Ottawa Theatre Challenge. The Challenge is hosted yearly by A Company of Fools, in celebration of World Theatre Day. For a few hours Ottawa’s bravest and boldest theatre companies will strut their stuff in this competition of creativity, creating short plays based on 3 MYSTERY ITEMS provided to them by their fellow competitors 48 hours before the main event. The fierce competition will be judged by a carefully vetted panel of illustrious judges each selected for their flexibility and willingness to accept bribes. Hilarity is the result! Up for grabs is the coveted Rubber Chicken Award and bragging rights as Ottawa’s Best Theatre Company. The team outdid themselves this year. On top of the usual "Best Bribe" prize, they came in as (unofficial) first runners-up, scoring a very moving tribute from one judge, CBC meeorologist Teri Loretto. During the post-awards celebration, the team met with judge Jeremy Dias, director of the Canadian Centre for Gender and Sexual Diversity. Jeremy took a moment to have his picture taken with the team, while team organizer Mackenzie Breeze Bone sported The Gay Sweater. Congratulations to the team ... next year, we go for the Rubber Chicken trophy! Suzart Scores Second CCC Set Design Nomination! Laurie Dickson as Tevye in Fiddler on the Roof, book by Joseph Stein, music by Jerry bock, lyrics by Sheldon Harnick, Suzart Productions. Kenny Hayes as Poche in A Flea in her Ear. Tim Mabey as the father in Rabbit Hole. Wayne Nolan as Man in Chair in The Drowsy Chaperone. Mike Heffernan for the set of Deathtrap by Ira Levin, Ottawa Little Theatre. Elaine McCausland for the set of Fiddler of the Roof. Tom Pidgeon for the set of All My Sons. The Audrey Ashley Award for a body of work will be announced on Monday, December 2 at the awards ceremony, to be held in the Salon at the National Arts Centre from 7 p.m. to 9:30 p.m. The CCC instituted the awards in 2000 to honour the best in theatre on stages in the National Capital Region. The members of the selection committee for the 2012-2013 season English theatre awards were: Alvina Ruprecht, Patrick Langston, Jamie Portman, Connie Meng, Barbara Gray, Maja Stefanovska, Rajka Stefanovska and Iris Winston. The CCC is affiliated with the Canadian Theatre Critics Association and the International Association of Theatre Critics. The 2013 CCC awards are sponsored by Barbara Crook Greenberg, Jim Robertson, Alan Dean Photography, Nick Wojtas Photography, Coyle Publishing, The Ottawa Citizen, L-D Tool & Die, and OYP Theatre School. The National Arts Centre is hosting the 2012-2013 awards.